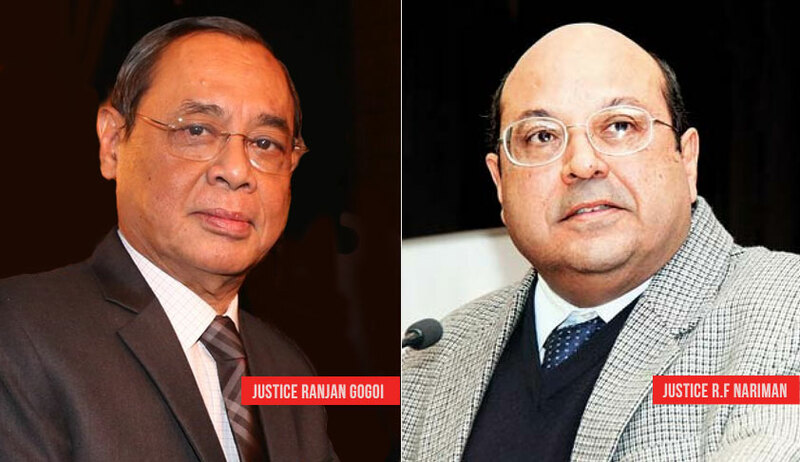 The Supreme Court bench of Chief Justice Ranjan Gogoi and Justice Rohinton Nariman on Thursday extended to December 15 the deadline for filing the claims and objections by individuals excluded from the first draft of the NRC for the state of Assam as published on July 30. At the previous hearing, the court had invited all stakeholders to offer their opinion on the stand adopted by Mr. Prateek Hajela, the State Coordinator for the Assam NRC, in regarding as inexpedient the allowing of claims for inclusion in the NRC to be filed on the basis of five specific documents. Insofar as the documents listed above at serial no.s (iii), (iv) and (v) are concerned, the bench recorded that the primary thrust of Mr. Hajela’s objections is that in the process of verification for inclusion of names in the draft NRC, a large number of forged documents belonging to the said three categories had been filed. The bench noted that the state of Assam has sought to answer this objection by adopting various means, including requiring the applicants to declare all the LDCs of their claimed Legacy Person, Mr. Hajela himself conceding that the LDCs of their Legacy Person would be known to the genuine Family Members. The bench was of the view that one which is entirely a possibility of abuse, however, strong, cannot be an acceptable reason in law to exclude the documents from consideration. “In this regard, we permit Shri Hajela to undertake through his team a vigorous process of verification and have additional layers of such verification to ensure that only and only eligible persons are included in the final NRC”, stated the court. The total number of persons included in the Complete Draft NRC is 2,89,83,677, leaving out as many as 40,70,707 for being ineligible for inclusion. Out of the aforesaid 40,70,707 names, 37,59,630 names have been rejected and 2,48,077 names were kept on hold.